Coffee table books about New Zealand are typically extraordinarily well illustrated; with beautiful scenery and fabulous places that appear isolated but are for the most part entirely accessible to both kiwis and visiting tourists alike. 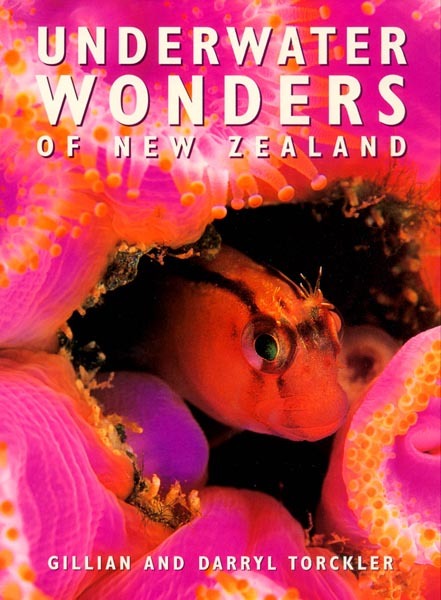 This book is no exception, highlighting some of the absolutely stunning coastal and underwater environments that New Zealand has to offer. The large format of the book couple with exquisite design has resulted in a breathtaking array of these full colour photographs. It takes you on a photographic journey through some of New Zealand’s top diving locations, from North to South and including Three Kings Islands, White Island and Fiordland. The sites are grouped by geographical type-coastal, inshore islands, off-shore islands, as well as two chapters specifically dedicated to two underwater areas—The Poor Knights Islands and Fiordland—that are not only the stars of New Zealand's underwater environment but are regarded by many as world-class diving destinations. A perfect gift for anyone who loves the sea, divers, snorkelers, sailors, or anyone who appreciates fantastic natural history photography. "A lavishly illustrated guide to the underworld"
"At last there is a book showing the splendour of New Zealand's underwater environment. Superbly illustrated by award winning photographer Darryl Torckler"